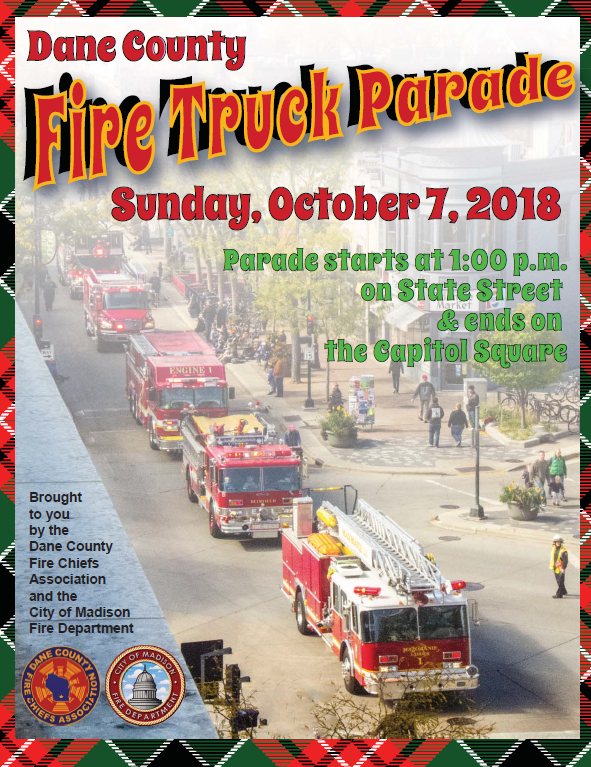 The Dane County Fire Chiefs Association and the City of Madison Fire Department are excited to bring you the Dane County Fire Truck Parade on October 7th, 2018. This annual event helps fire departments kick off Fire Prevention Week by spreading information about how everyone in our communities can protect themselves against the dangers of fire. See you there!